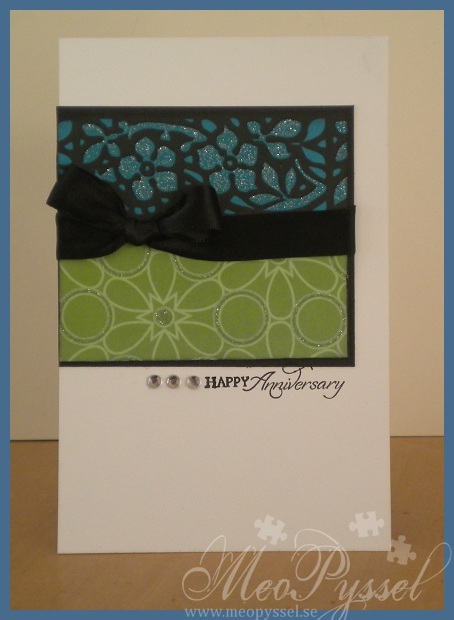 This weeks challenge for Sweet Stampin’ is Anniversary/wedding. I have never done a anniversary-card before so I wanted to try one. 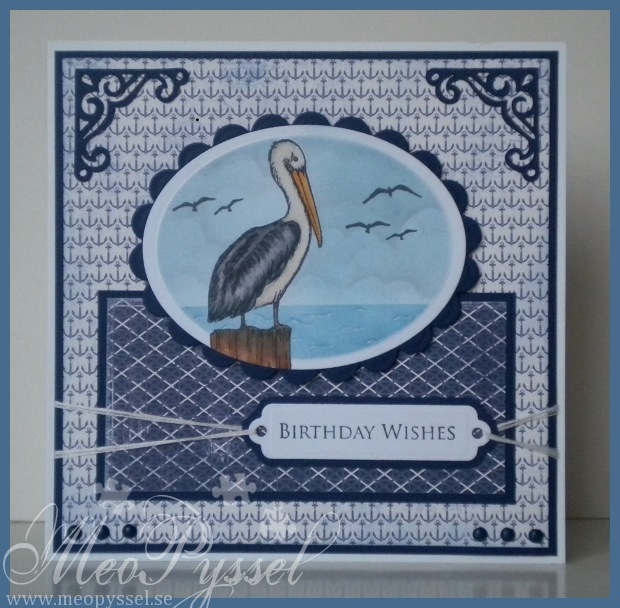 Sponosors for this challenge is Joanna Sheen with a £10 voucher and Whimsy Stamps. On the Gina K’s Mix it up Monday they have a photo inspiration.challenge and I really got inspired to make a light CAS-card from it. 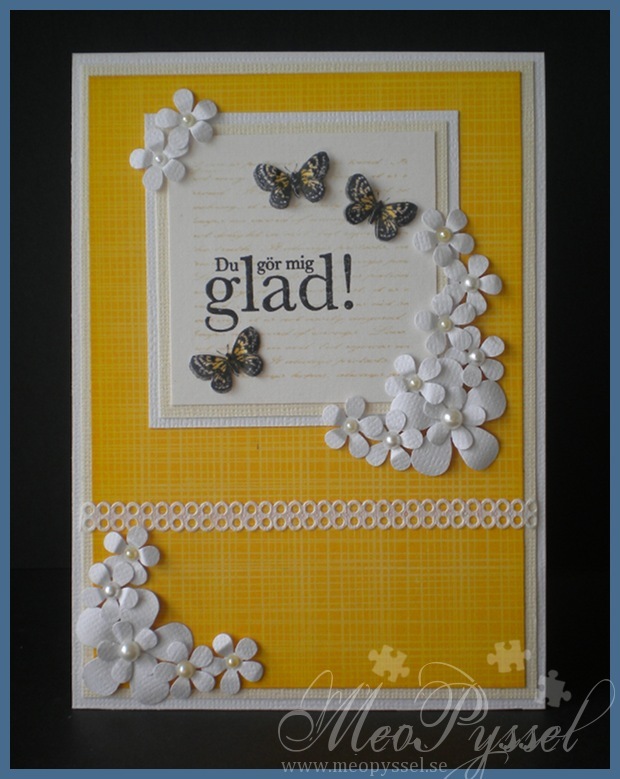 As said before CAS-cards ain’t in my comfort zone so I looked through my inspiration-library some more and found this card this card which I wanted to copy. 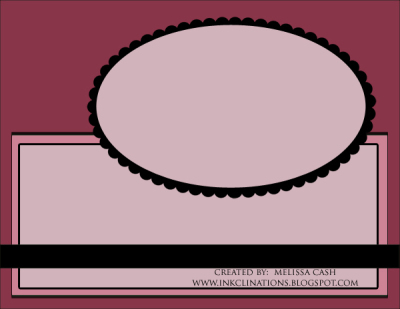 I really like how it turned out and I’m thinking of using a similar one as a Thank-You-card for my wedding-guests. I have no idea were the paper is from, but I can tell you that was one of the first papers I ever bought. Inky Impressions – #72 Pearls and/or Rhinestones! So today I actually made time to sit down and just play around with all my toys. The plan was, from the beginning, that I might color some and try out the new colors I got the other week. But I found a House Mouse image laying on my desk that i colored a while back that I just need to use somehow. I realized I haven’t made a House Mouse for like months! And of course I had to change that. So i looked through my calendar and found out that my aunt has her birthday next Tuesday so i decided to make this one for her. She is bit more modern then this card but the image just gives me a feeling of old country kitchen in Italy (for some reason) and i hope she will love it anyway. So I looked through my stash of paper and found these nice papers from Pion Design which inspired me to do the card even more vintage so everything have been distressed with Vintage Photo. I also added a layer of vintage photo over the entire image so it would match better with the colors and have the same warmth to it. The doily is also covered with ink. The inside is made in the same fashion. The Image is cut out using my new and fabulous rectangle nestabilities, bot the regular and the scallop one. I could only afford the large or the small one when i made that order so I chose the Large one in hope that it would work with the big stamps from House Mouse.. and look they fit perfectly! I couldn’t be happier. The image is as usual colored with copics. I used this weeks Sketch Saturday Sketch for the layout and I did keep fairly true to it. 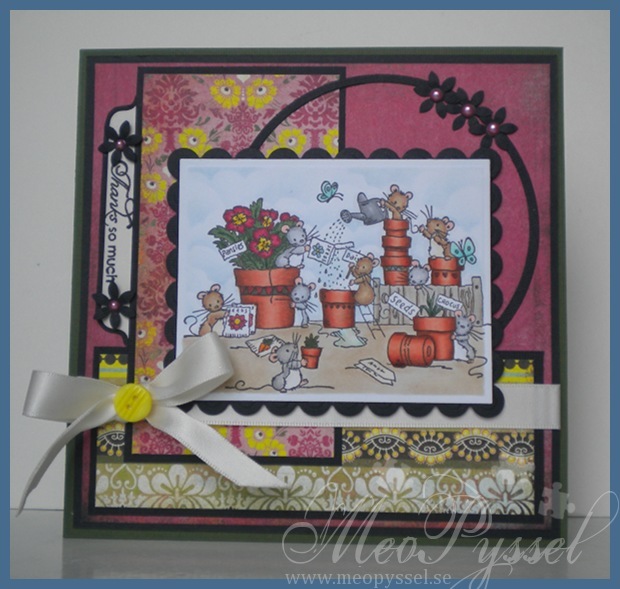 The sentiments tab is a die from MFT and the sentiment is from Gina K’s Garden Silhouettes. The sentiment is stamped with Memento Rich Cacao. 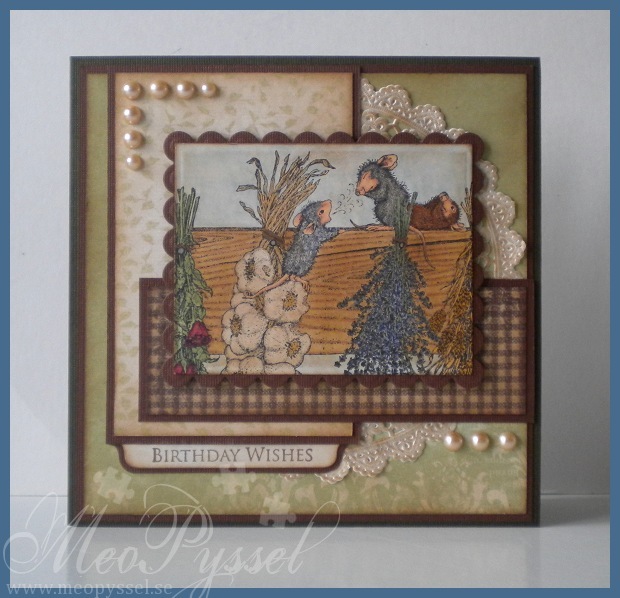 I used some cream pearls so make the card a bit softer and to give it a more embellished look. Unfortunately I were out of the smaller ones so I used the big size. I still wish that I had the smaller ones but it turned out ok anyway. 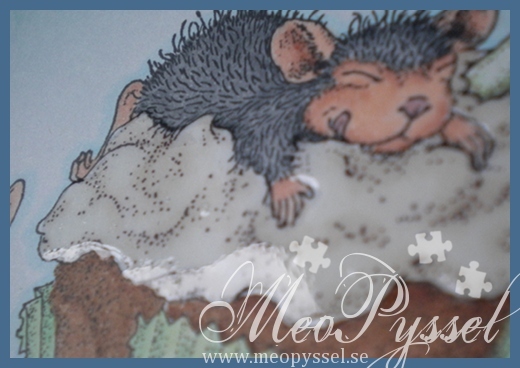 Stamp: House Mouse – Autumn Berry. So this weekend is my dear friend Martin’s birthday so i wanted to make him a card. He, as I, love dragons and this cute one landed in my mailbox a week or so ago. His name is Autumn Happiness and are from Wee stamps. The dragon is as usual colored with copics and i cut him out using the Large deckled rectangles nestabilities. I didn’t want to make him the regular green dragon but i still wanted to get him a feeling of wood and nature sense that is what Martin is all about, so he became brown. I inked the inside lightly with the Dandelion memento ink. I backed him onto some Basic Gray paper, from the Origins collection. 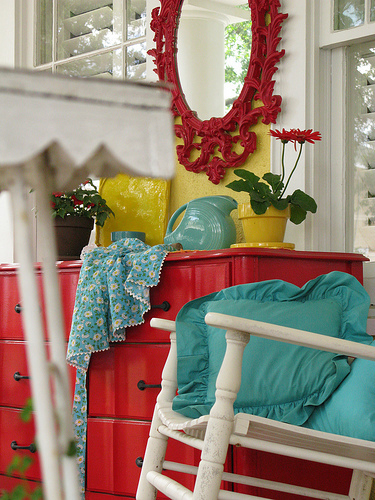 The sentiment is from Gina K’s Garden Silhouettes. The ribbon I used was from the beginning a white satin-ribbon but i colored it with E37 to make it match the dragon. The stars I used are from a die-cut-sheet and i cut them out and colored the white backside with the Rich Cocoa memento ink. All the edged have been inked with memento to make the transition smoother. 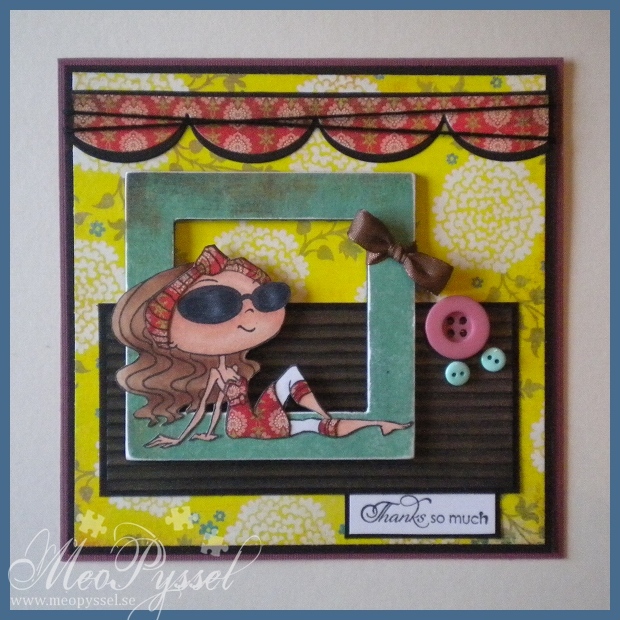 I Just saw that this card was the spotlight card for Secret Crafter Saturday Challenge this week! I’m just so happy! I’m just so stupid, i have been doing this card all evening with the thought that the Kraftin’ Kimmie recipe was: a bow, a button and a chipboard. Sigh. Well fortunate i seem to have everything everyday if you count the flowers on the paper, which i do. 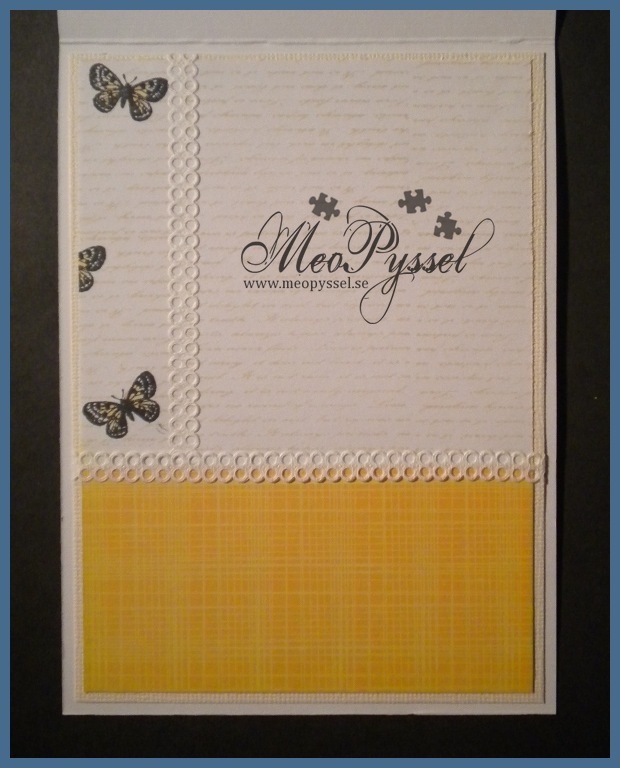 Well anyway… The card is made based on Basic Gray’s collection Hello Luscious and both paper and buttons are from that collection. To get some dimension i did run the brown paper through my paper crimper and i used a piece of thick chipboard that i glued the blueish paper to. I did sand the paper on the chipboard to get the white of the paper and the chipboard to blend together. The sides, on the outside and on the inside is painted black with a magic marker just so the gray won’t show. 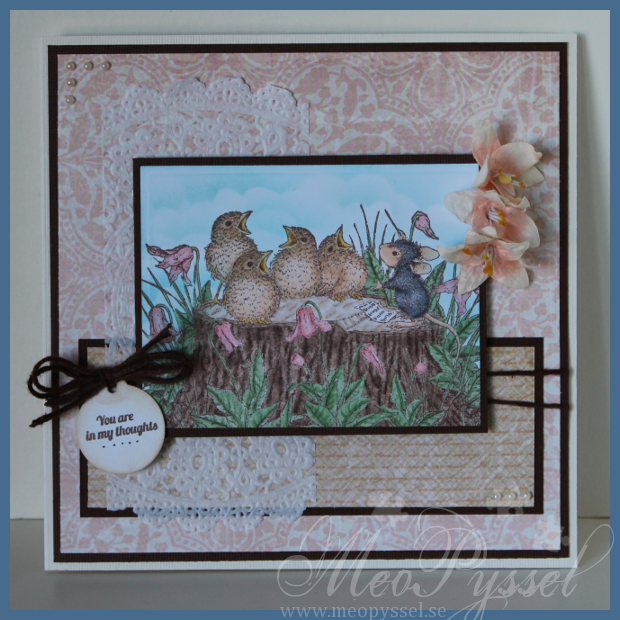 The stamp that is used is Kraftin’ Kimmie’s Florence and the sentiment is from Gina K’s Fanciful Tags. I did paper pieced Florence dress with the same paper I used in the top border. Otherwise she is colored and shadowed with copics. I’m not happy with the lower part of the face. Stupidly enough i did the glasses last so i spilled some black onto the face and when i tried to save it the colors got separated and bad, and it felt like it got worse the more i tried to save it so i gave up. The black twine and the brown ribbon is some generic kind that i just had laying around. It was the same with the chipboard, i got it in a free sample pack a long time ago and i don’t remember from were i got it. 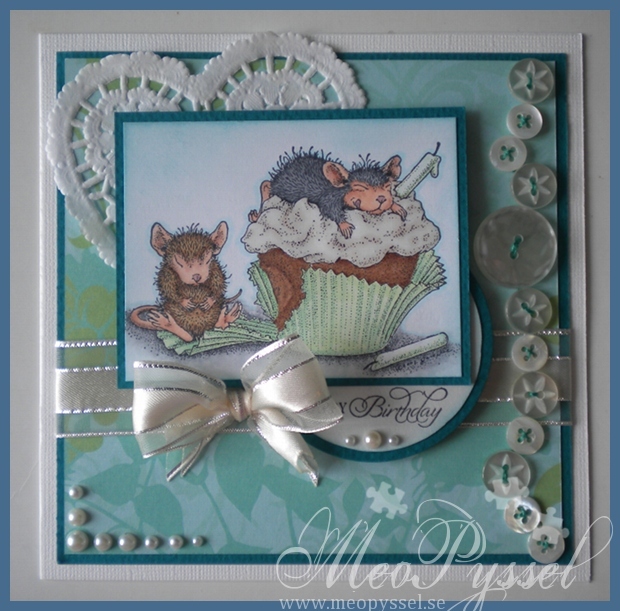 Among all the buttons i got in the bag from grandma and grandpa’s old store there were some with a pearlshine and some with stars is them that i just loved so i decided to make a card with them, and luckily for me this weeks House Mouse challenge is one featuring buttons. The stamp is House Mouse’s Brithday Cupcake that i have in my Birthday: Ice Cream-set. I have colored i with Copic and i just fell in love with this very light green combination. I used Glossy Accent on the frosting to make it more shiny (se the picture to the right). The sentiment is from Gina K’s Fanciful tags i just stamped in black. 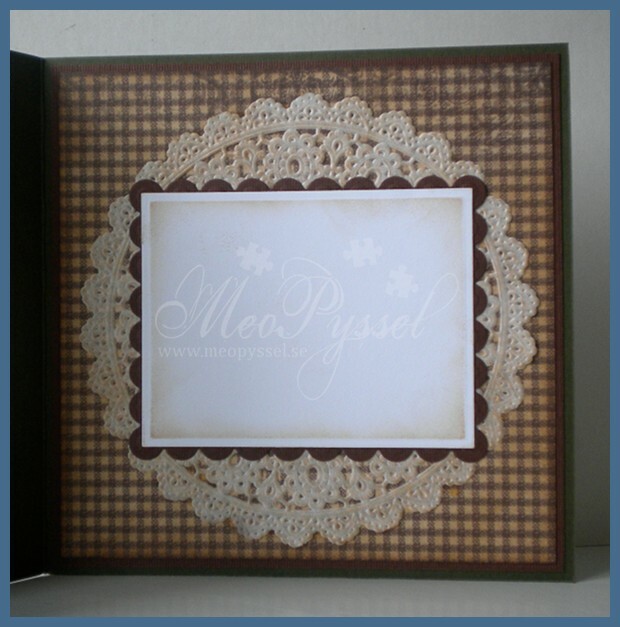 The paper is from an unknown brand as decoration i used a doilie, lots of buttons and pearls and a ribbon. I used this week Mojo Monday again for my layout. Copic: E00, E11, E13, YG11, G12, YG41, B00, N7, N5, N3, N1, E41, E40, E04, E13, E35, E39 and 0. This card is for mu aunt that will lend me her house during my mini vacation this week. As a thanks you she and her family will get this card and a small surprise. 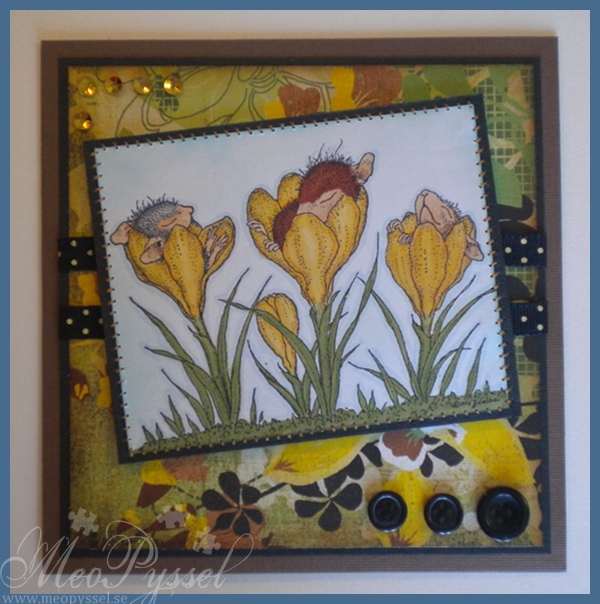 The card is inspired by this weeks House Mouse Monday Challenge no 96 – Love for the game and the theme is either football or green and yellow so i choose to make a card in the theme of Green and Yellow. The paper is Basic Grey’s Origins and the image is House Mouse’s Sleeping in the Crocus. The picture is colored with promarkers. I have hand-stitched the image to the frame with a light brown embroiderythread. 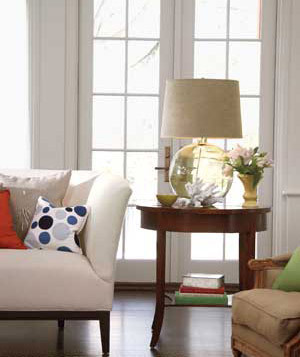 The inside is made by using the same paper and the same idea as the front. 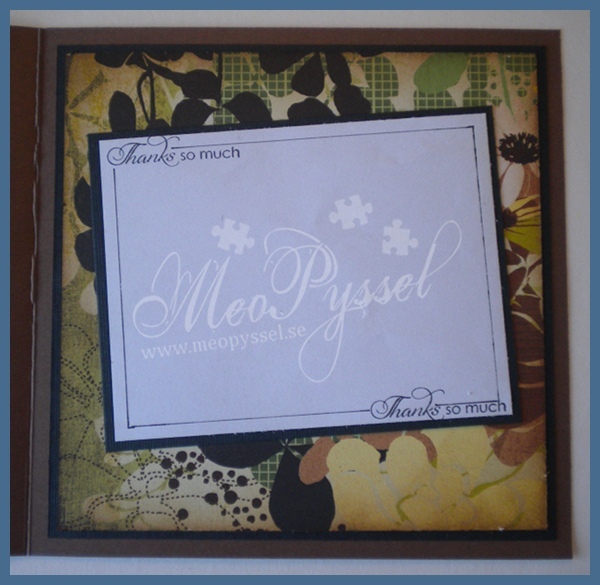 The greeting on the frame is from Gina K’s fanciful tags.